Go Gluten Free with our Perfect Meals. 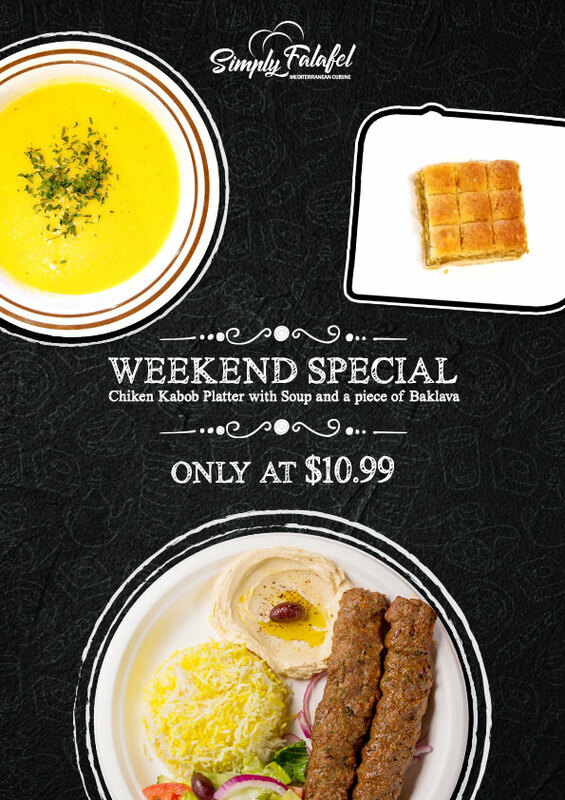 Enjoy the delicious Chicken Kabob with Lentil Soup and a piece of Baklava at just $10.99. 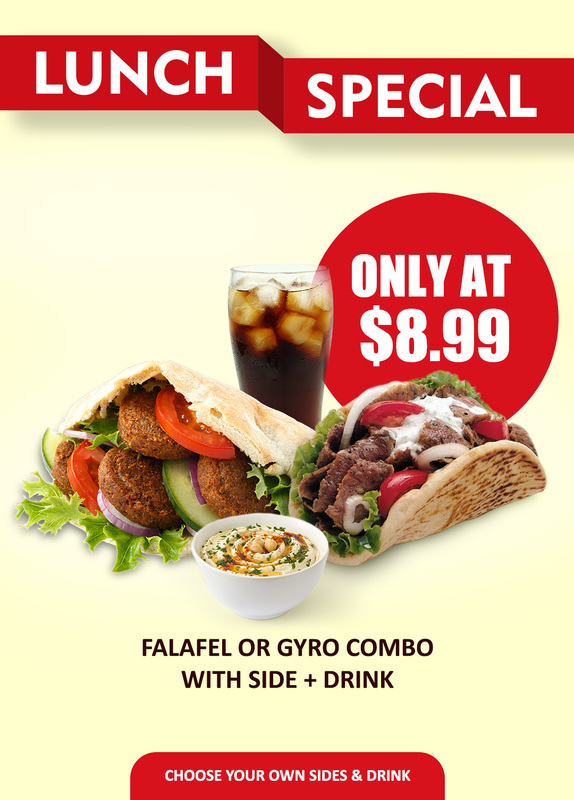 Choose from our healthy and delicious Falafel or Gyro Sandwich and add a Side and Drink of your choice to make your meal.